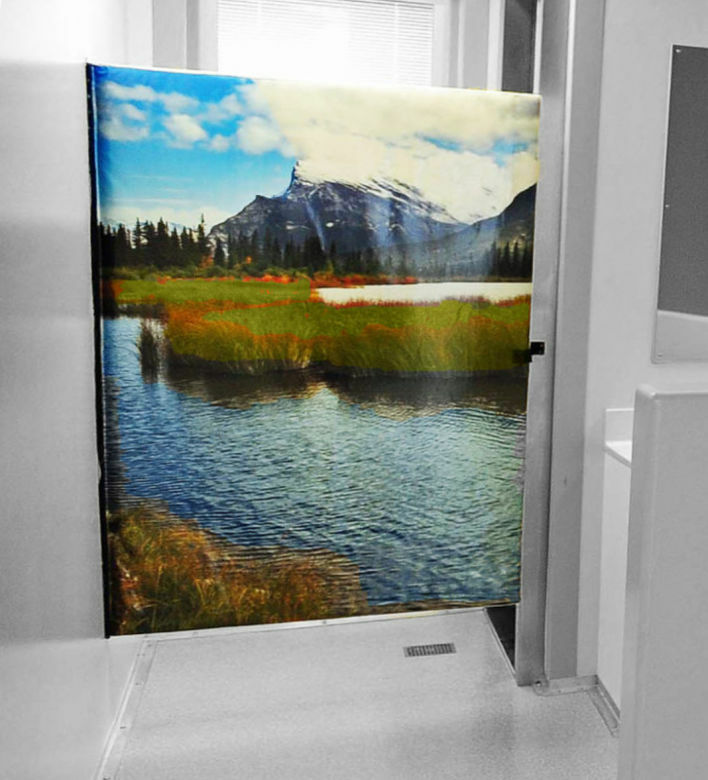 The YewdaleKestrel® SafeDoor is constructed from a lightweight 4kg soft foam then coated with a resilient antimicrobial, stain resistant vinyl material designed to withstand daily patient and client use in hospital and mental health environments. By harnessing the natural forces of short range magnetism for its fixing points, it eliminates all anchor points usually associated with doors and hardware. This ensures that, under excess load (9kg), the door separates from the door frame to which it’s mounted, leaving no remaining points of ligature - a highly essential safety feature. An en-suite door with zero ligature risk makes the SafeDoor the only choice in providing acceptable levels of privacy and dignity yet still ensuring no risk. Designed with a strong focus on being lightweight for both service user and staff protection, this durable tear/stain-resistant solution is both waterproof and flame retardant as standard. Its external surface can be printed on to suit the décor of the environment. Incorporating the proven qualities of YewdaleKestrel® magnetic fixing properties means that this also has 100% fail-safe anti-ligature functionality. Simple to install. 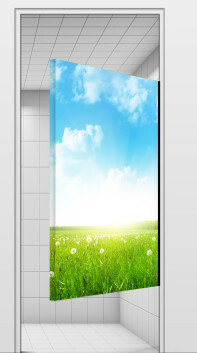 Left hand or right hand hinge mounted; 1000mm width, plus other sizes to order; Colour/image of your choice. 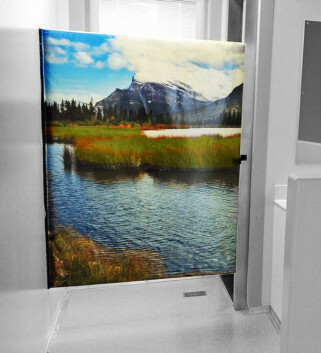 The magnetic anti-ligature YewdaleKestrel® SafeDoor for en-suites with vandal resistant, soft foam core as manufactured by Yewdale, +44 (0)1268 570900. Manufactured from flame retardant fabric, constructed using anti-pick, tamper resistant materials, and incorporating Biosafe® antibacterial formula to withstand vigorous daily use in hospital and mental health environments. The 4kg tear/stain resistant door is anti-static and will fall away from its magnetic fixing plates when subjected to a load greater than 9kgs.